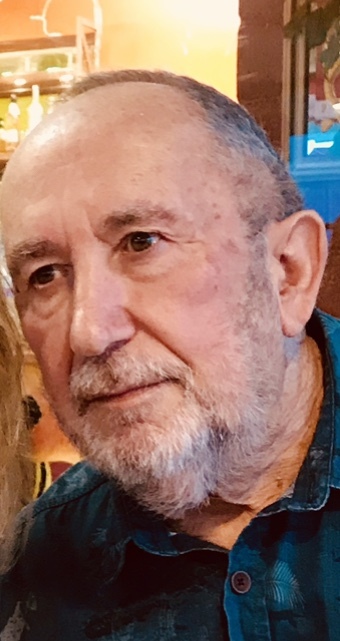 Larry M. Anagnost, age 77, passed away on Tuesday, February 5th, 2019 at the Ida Emmerson Hospice House in Eureka, CA. He was born September 12th, 1941 in Prairie Grove, AR to Dora and James Anagnost. He served in the United States Army and frequently spoke about the amazing countries that he was able to visit while in the military. After the Army, he moved to Eureka, CA to be close to his sisters and mother who moved to Eureka in the late 1950's. His stepfather, Henry, introduced him to the docks where Larry served as a Longshoreman for 37 years and created lifelong friendships and a penchant for playing cards with his Longshoreman buddies. In 1978, he met his love, Nancy Fisher, and they were married less than 6 months later in an intimate ceremony at her family's Santa Cruz mountain home. Less than 2 years later, they welcomed their daughter, Kristy, with whom he was very close. Larry was an exceptional husband and father who possessed a sharp wit, dry humor and a deep well of love for his wife, daughter, sister, and many friends. He is survived by his wife, Nancy Anagnost, his daughter Kristy Anagnost and her fiance Kevin, and his sister, Katherine Whitlow. He is preceded in death by his mother, Dora Swanson, father James Anagnost, sister Irene Trimble, sister Georgia Rice, brother Daniel Anagnost, brother-in-law Vern Whitlow, step-father Henry Swanson and his mother's long time love Tommie Burnaman. Larry was and is incredibly loved by all of his surviving relatives and many family friends who request that any donations in his honor be sent to Hospice of Humboldt.